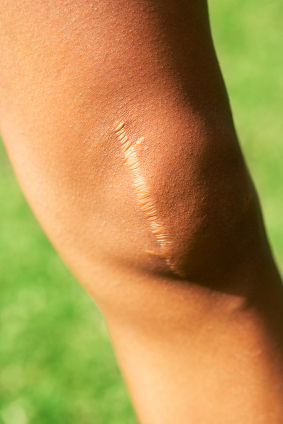 Like any other surgery, knee surgery results in pain and inflammation that can cause discomfort for the patient. The more quickly the healing process happens, the faster you can reduce or eliminate these undesirable effects. Fortunately, it is possible to expedite knee surgery recovery with cold compression therapy. Cold therapy - Also called cryotherapy, the application of cold to the injured tissue around the surgical site will lower the metabolic rate of the tissue. This helps prevent the tissue from becoming further damaged and reduces the amount of healing and tissue regeneration required by the body. Cold therapy also helps reduce pain and swelling in the knee. Compression - Compression is often used during knee surgery recovery to help prevent swelling in the damaged tissue. When external pressure is applied, less fluid is allowed to accumulate in the knee, reducing the incidence of swelling. Cold and compression combined - When compression is added to cold therapy, the tissue in the injured knee cools much more quickly and stays cool even after treatment is complete. The combination of cold and compression can be further improved to provide even faster healing and tissue repair by using active technology. Active cold - When an ice pack or other cooling device sits statically on the skin, heat is transferred from the injury to the cooler object. Although this is initially effective and produces the desired result of cooling the area, the temperature of the ice pack is rapidly increased and the therapeutic cooling effects are diminished. Active cold therapy circulates water that is constantly cooled so that the temperature at the healing site remains consistent. The effect of active cold therapy is deeper cooling that lasts longer than a static system. Active compression - Static compression will help reduce swelling by limiting the amount of fluid that is allowed to enter the knee, but active compression will actually pump fluids away from the area. This pumping action also helps improve blood flow, which results in the delivery of more oxygen, which helps speed up the healing process. The faster you can heal during knee surgery recovery, the faster you will be back on your feet. Game Ready's patented active compression and cold therapy knee wraps are designed to provide targeted cooling directly to the affected area. Our proven technology is more effective than other cryotherapy systems, providing deeper cooling that lasts longer. Contact us to learn more about how you can use Game Ready to improve your knee surgery recovery, or talk to your doctor about renting a system. Wouldn't you like to make your knee surgery recovery faster?